Don t let connectivity keep you from accomplishing greater things! Say goodbye to dropped calls and pave the way to a happier home or a more productive workspace with the Home 4G Cellular Signal Booster from weBoost! The weBoost Home 4G is our most affordable 4G cell phone booster for home and indoor coverage. Designed to improve communication lines at your home or office, this device enhances 4G LTE and 3G signals in buildings of up to 1,500 square feet. The Home 4G from WeBoost can power up your cell phone signal in 1 or 2 rooms of your home or workplace. It ensures better voice and data, fewer dropped calls, higher voice quality, and faster uploads and downloads. Equipped with a patented smart technology that senses signal conditions in and around the building, this innovative technology electronically optimizes the booster s performance. The Home 4G works with all carriers in the United States and Canada: AT&T, T-Mobile, Verizon, Sprint, Straight Talk, and U.S. Cellular. No matter what carrier you use, it is guaranteed to increase the signal strength of any cellular device, giving you crystal clear calls and uninterrupted data. The package includes the Home 4G, an indoor antenna, an outdoor antenna, a power supply, and a 30-foot coaxial cable. You ll experience easy and convenient installation of your booster when purchasing this complete pack! Our products come with 7-day support and a 2-year warranty. Our highly trained technical staff will provide you with any assistance you need to get familiar with and use the device. We guarantee this booster will give you unmatched network reach, but if you still aren t satisfied, we will be happy to fully refund you within 30 days of purchasing. STOP DROPPED CALLS: Boost 4G LTE and 3G cell phone signals in your home and office. Use for peace of mind while on important business calls and while speaking to loved ones. With a signal boosting range of up to 1500 sq. ft. this device extends your existing cellphone coverage in one to two rooms. The booster simply amplifies your existing signal to give you more bars and maintain fast data speeds while you browse the internet or talk on the phone. WORKS WITH ALL U.S. CARRIERS: Verizon, AT&T, Sprint*, T-Mobile, Straight Talk, U.S. Cellular and many more. If you have a cell phone plan with any of the above carriers, this booster will work for you. 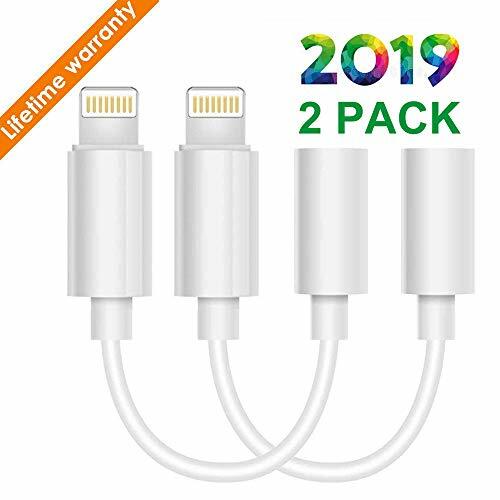 Guaranteed to improve your existing connection across multiple devices simultaneously or your money back. *Government regulations in the U.S. & Canada prohibit boosting a particular frequency used by some of the Sprint network. Most Sprint customers still see performance improvement from we Boost signal boosters. AUTOMATIC GAIN SETTINGS: The we Boost Home 4G booster uses patented smart technology to sense nearby signal conditions and electronically optimize the booster's performance. The device provides a maximum signal gain of 60 decibels. This means that your booster will always optimize to provide you with the strongest signal and connection to keep your bars up and browsing speeds fast. Designed to improve communication lines, this premier device enhances 4G LTE and 3G signals in buildings of up to 5,000 square feet, ensuring better voice and data with fewer dropped calls, higher voice quality, and faster uploads and downloads. The Connect 4G uses a smart technology to sense signal conditions in and around a building and automatically adjust the gain level on each frequency band. This booster provides a maximum signal gain of 65 decibels. The Connect 4G works with all carriers in the United States and Canada: AT&T, T-Mobile, Verizon, Sprint, Straight Talk, and U.S. Cellular. No matter what carrier you use, it is guaranteed to increase the signal strength of any cellular device, giving you crystal clear calls and uninterrupted data. 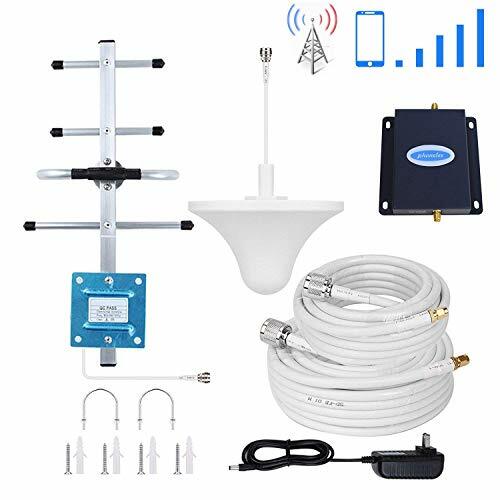 This package includes the Connect 4G, an indoor antenna, an outdoor antenna, a power supply, and a 30-foot coaxial cable. Experience hassle-free installation of your booster with this complete pack! Our products come with 7-day support and a 2-year warranty. Our highly trained technical staff will provide you with the assistance you need to get familiar with the device. This booster will give you unmatched network reach so that you are always accessible, especially when it matters most. However, if you are not satisfied with it, we will be happy to give you a full refund within 30 days. 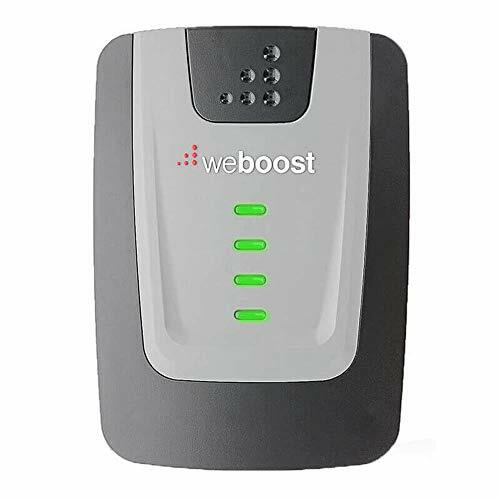 COMPATIBILITY: This weBoost Signal Booster is compatible with all US carriers including: AT&T, T-Mobile, Verizon, Sprint, Straight Talk, U.S. Cellular and many more. *Government regulations in the U.S. prohibit boosting a particular frequency used by some of the Sprint network. Most Sprint customers still see performance improvement from weBoost signal boosters. 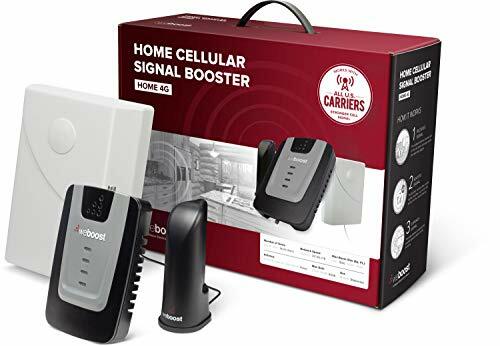 SIGNAL BOOSTER: The weBoost Connect 4G Indoor Cell Phone Booster for Home and Office boosts your 4G LTE and 3G signal up to 32X for fewer dropped calls, higher audio quality, and faster uploads and downloads. 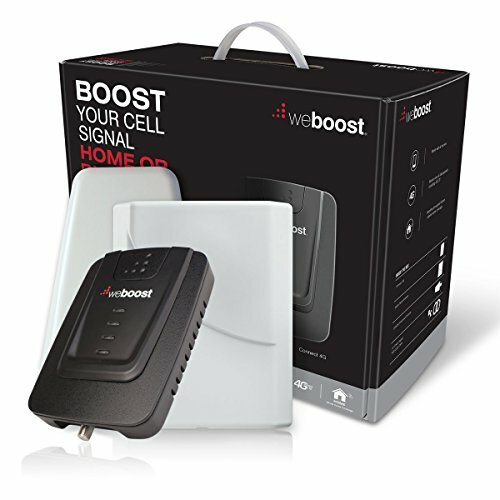 COVER YOUR ENTIRE HOME: The weBoost Connect 4G Cell Phone Booster for Home and Office has a range of up to 5,000 square feet. Providing increased signal strength throughout your entire home. 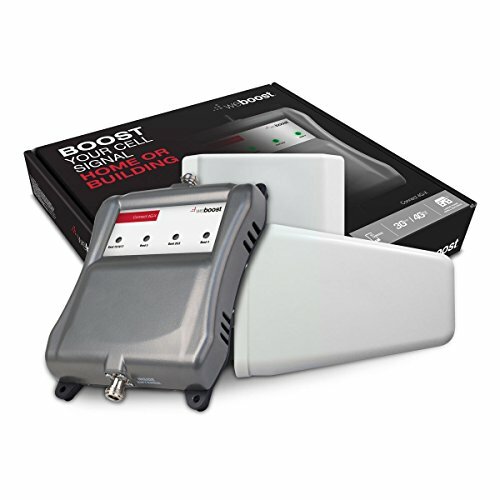 AUTOMATIC GAIN SETTINGS: This weBoost signal booster uses patented smart technology to sense nearby signal conditions and electronically optimize the cell phone booster's performance. BATTERY LIFE: Enjoy up to 2 hours of additional talk time with the weBoost Connect 4G Cell Phone Signal Booster. This cell phone signal booster consumes only a small percentage of your device's battery, prolonging battery life. Keep your mobile phones connected and be accessible wherever you are with this Wide Band Directional Antenna with N-Female Connector from WeBoost. It s guaranteed to give you the strongest signal strength, and you can make your purchase without any risk with our money-back guarantee. This signal booster lets you experience unmatched data speeds and unparalleled mobile signal strength in areas where you once had poor coverage. It has a wide frequency range that includes 3G and 4G LTE areas, letting you make calls or send messages whenever you need to and connect to the internet in virtually any remote location. It also works on all carriers: AT&T, T-Mobile, Verizon, Sprint, and U.S. Cellular. It boosts signals up to 32 times their current strength, giving you crystal-clear call quality, so no more dropped calls. 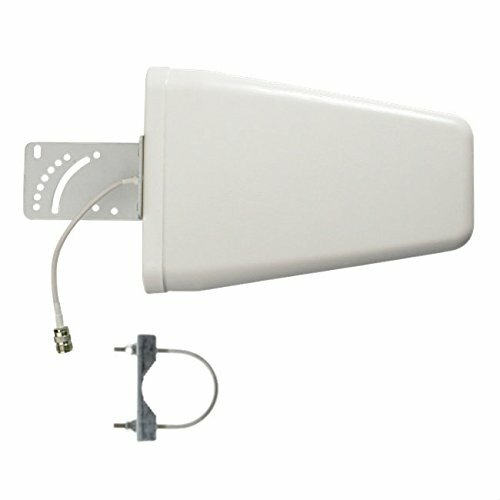 This signal booster has an N-Female connector with a threaded, weatherproof structure. It lets your mobile phone receive large volumes of data quickly. It can also capture exterior signals and amplify them in your car, home, or office. 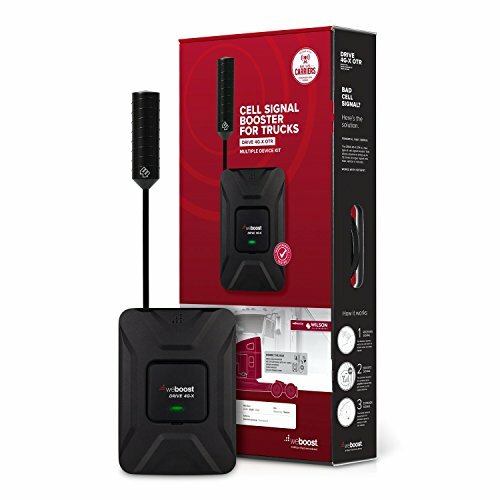 As a trusted brand of homeowners, professionals, rescue teams, and police stations, our products provide the most powerful cellular signal available, so you will always be within reach, especially when it matters most. Our products come with 7-day support and a 2-year warranty. Our highly trained technical staff will provide you with all the assistance you need to get familiar with the device. WeBoost is committed to improving the lives of our customers. This device gives you network reach like never before. But if you aren t satisfied with your purchase, we ll be happy to give you a full refund within 30 days. 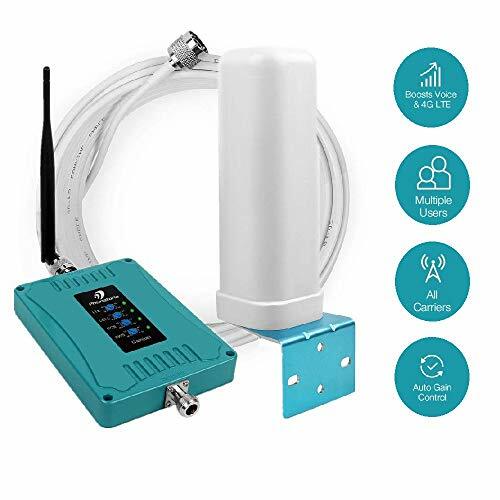 Invest in this premium signal-boosting device now, and stay connected no matter where you are with the Wide Band Directional Antenna with N-Female Connector! COMPATIBILITY: This Wilson Electronics Wideband Directional Antenna is compatible with all US carriers including: AT&T, T-Mobile, Verizon, SPRINT, Straight Talk, U.S. Cellular and many more. *Government regulations in the U.S. prohibit boosting a particular frequency used by some of the Sprint network. Most Sprint customers still see performance improvement from Wilson Electronics directional antennas. VERSATILITY: The Wilson Electronics Wideband Directional Antenna supports multiple devices so that everyone can experience enhanced 4G LTE and 3G signals. It features up to +10.6 dB gain. OUTSIDE CELLULAR ANTENNA FOR SIGNAL BOOSTERS: The Wilson Electronics Wideband Directional Antenna boosts your 4G LTE and 3G signal up to 32X for fewer dropped calls, higher audio quality, and faster uploads and downloads. PREMIUM QUALITY: This Wideband antenna features an N-Female connector that facilitates the transfer of high-frequency information. The female connector can quickly receive large amounts of data and works at radio frequencies in the multi-megahertz range. Travel and live wherever you want without worrying about cellular connectivity with the Drive 4G-X RV Signal Booster from we Boost! The we Boost Drive 4G-X RV Signal Booster is specially created to enhance signal coverage inside your camper, truck, or mobile home. Designed to improve communication lines and keep them open, this premier device enhances 4G LTE and 3G signals both for moving vehicles and permanent dwellings. The Drive 4G-X RV from we Boost can increase the signal strength of your mobile up to 32 times its current capacity so that you can always stay connected to your loved ones! Ensure better voice and data signal for maximized network connectivity even in the most remote locations! Equipped with a patented smart technology that senses signal conditions in and around buildings, the RG-X RV electronically optimizes and adjusts the booster s capability to facilitate its best performance. 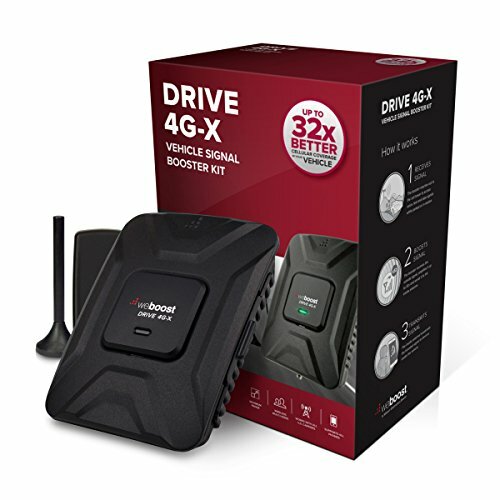 The Drive 4G-X RV booster works with all carriers in the United States and Canada - AT&T, T-Mobile, Verizon, Sprint, Straight Talk, and U.S. Cellular. No matter which carrier you use, this booster s to increase the signal strength of any cellular-powered device for crystal-clear call quality and uninterrupted data connection. 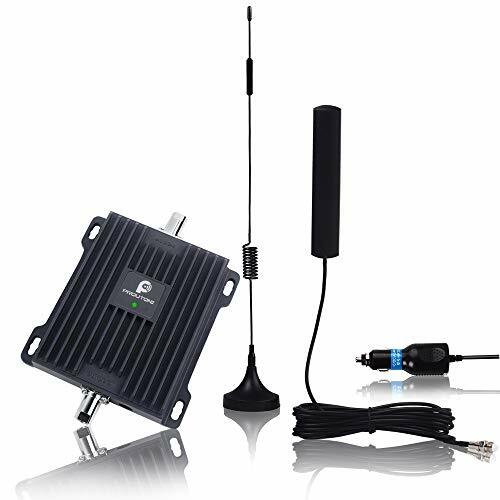 This package includes the Drive 4G-X RV, an indoor antenna, an omnidirectional antenna, a hardwire power supply, and an AC/DC power supply. Experience easy installation with this complete pack! Our products come with seven-day service support and a two-year . Our team of highly trained technical staff will provide you with the assistance that you need to get familiar with the device. This booster will give you unmatched network range like never before. However, if you are not satisfied with your purchase, we will be happy to give you a full refund within 30 days. Invest in this premium device and build connections by keeping communication lines open with the we Boost Drive 4G-X RV Signal Booster! COMPATIBILITY: This we Boost Signal Booster is compatible with all US carriers including: AT&T, T-Mobile, Verizon, Sprint, Straight Talk, U.S. Cellular and many more. *Government regulations in the U.S. prohibit boosting a particular frequency used by some of the Sprint network. Most Sprint customers still see performance improvement from we Boost signal boosters. STATIONARY OR ON THE GO: The we Boost Drive 4G-X RV 470410 Cell Phone Signal Booster is designed to increase your cellular signal for you RV or motorhome regardless of whether you are in motion or stationary. FRUSTRATION FREE SETUP: we Boost cell phone signal boosters feature quick and easy, do it yourself installation. 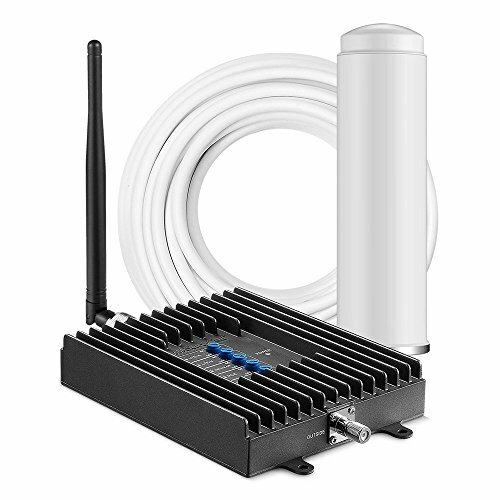 All components needed for installation are included, making for a seamless set up of your signal booster. BATTERY LIFE: Enjoy up to 2 hours of additional talk time with the we Boost Drive 4G-X Cell Phone Signal Booster. This cell phone signal booster consumes only a small percentage of your device's battery, prolonging battery life. FCC authentication certificate,One Year Manufacturer Warranty , 30-day money-back guarantee, high Gain booster repeater , All parts included in the kit , Very easy to install . The Fusion4Home Omni/Whip cell phone signal booster by SureCall increases cell signal strength for voice, text and 4G LTE data for all North American cell carriers, including AT&T, Verizon, Sprint and T-Mobile. The Fusion4Home Omni/Whip delivers unrivaled performance with cutting-edge technology, reducing dropped and missed calls and extending battery life for multiple simultaneous users on all cellular networks. Cellular reception weakens due to topography, building materials, structural design and distance from the cell tower. The Fusion4Home Omni/Whip captures this outside cellular signal, boosts it and re-broadcasts that signal inside to your cellular device. The Fusion4Home booster is bi-directional meaning signals are amplified as they travel back and forth from your device to the cell tower ensuring that you stay connected. Dropped calls are history, as the Fusion4Home Omni/Whip provides clear and consistent coverage for all cellular devices in 1 2 rooms, up to 2,000 Sq Ft. With an industry leading 3-year warranty, SureCall proudly stands behind their products and emphasizes the importance of a great user experience.FCC approved. we Boost's Drive 4G-X is our most powerful, professional grade 4G vehicle booster. Commonly used by first responders throughout North America to boost signals while out on the road. The Drive 4G-X ensures that you get better voice and data with fewer dropped calls, improved voice quality, faster uploads and downloads, and allows up to 2 hours additional talk time in weak-signal areas. we Boost's 4G-X boosts cell signals up to 32x and enhances 4G LTE and 3G signals for everyone in the vehicle whether it's a car, truck, van or RV. Compatible with all U. S. wireless carriers including Verizon, AT&T, Sprint, T-Mobile, US Cellular, Straight Talk and more. All components needed for installation are included as well as simple instructions for a quick, easy setup. Plug the Drive 4G-X into the car's power supply, place the magnetic antenna on the roof, and get better wireless signal on the road now. Using GPS or making a call, the we Boost Drive 4G-X Cell Signal Booster provides a stronger signal on the road. Hills, trees and distance from the signal source all affect call quality not to mention streaming services and GPS systems. The Drive 4G-X is your answer to all those times you've lost connection on the road. 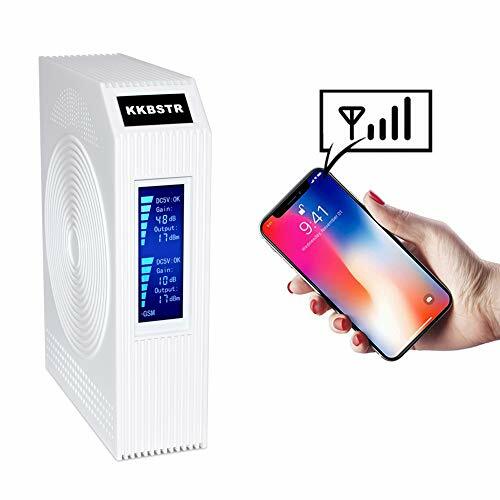 It offers stronger cellular connections by operating with the maximum output power allowed under current FCC regulations, extending your service range. The Drive 4G-X substantially improves your cellular signal strength on all cellular-connected devices in your vehicle including smartphones, tablets and laptops. 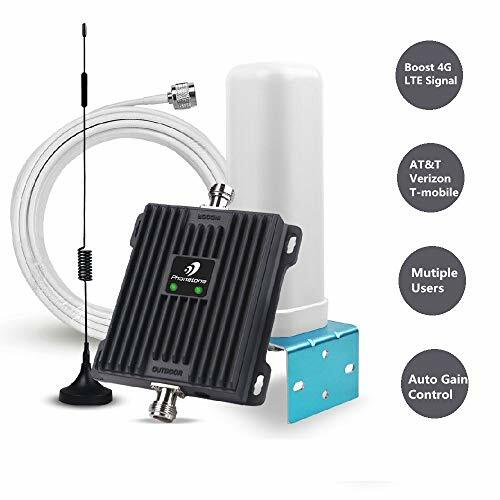 COMPATIBILITY: This we Boost Signal Booster is compatible with all US carriers including: AT&T, T-Mobile, Verizon, Sprint, Straight Talk, U. S. Cellular and many more. *Government regulations in the U. S. prohibit boosting a particular frequency used by some of the Sprint network. Most Sprint customers still see performance improvement from we Boost signal boosters. 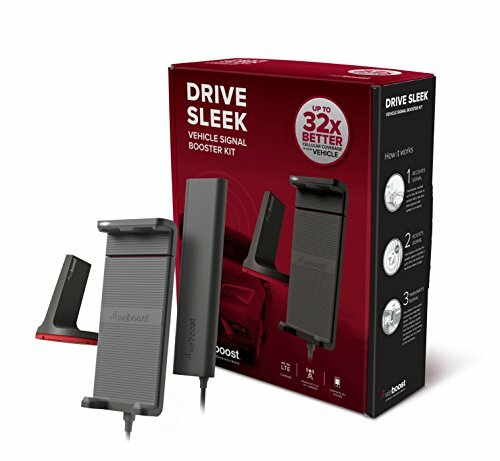 VERSATILITY: The we Boost Drive 4G-X Cell Phone Signal Booster supports multiple devices so that everyone can experience enhanced 4G LTE and 3G signals. Does your house have cell phone signals only outside the house? With it, calls and send messages, don't have to run outside anymore! How a cell phone signal booster works: A cell phone signal booster uses an outdoor antenna to search for cell phone signals in the area. It captures those signals and boosts their power with a signal booster. An indoor antenna broadcasts the strengthened signal so that your phone can receive it. Applications: Can be used for apartment, hotel, office, basement of buildings, coffee shop and shopping mall etc. 1. The indoor and outdoor antenna is best to keep the distance of more than 8m(26ft), preferably separated by walls. The outdoor antenna is preferably installed horizontally in a better signal area and faces a cell tower. 2. 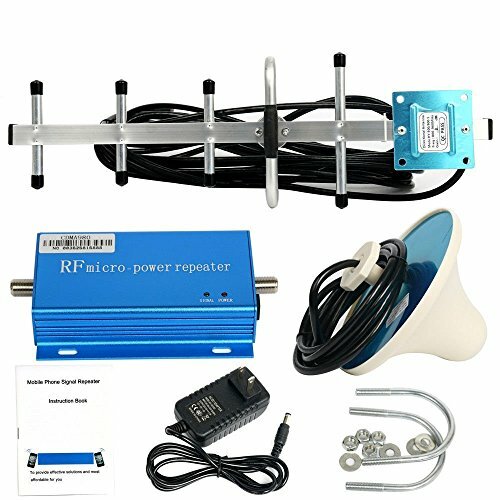 Need 2 to 3 bars signal outside, otherwise the signal can not be amplified, because this is a cell phone signal repeater. If you have any question, please feel free to contact us by buyer-seller messages or email. Thanks! 1. Dual-band: Works with AT&T, T-Mobile, Verizon, Sprint, U.S. Cellular, Cricket Wireless etc. The cell phone booster is dual-band(B2/B5), smart chip, better voice quality, fewer dropped calls. It can boost signals from these carriers at the same time, support multiple devices to use at the same time. It also applies to other North American and South American countries. 2. Support 2G/3G/4G Call: It can boost Voice & Text & 3G data, can't boost 4G/LTE Data. You can access internet through your home WiFi. Maximum coverage range 350 square meters / coverage radius about 10 meters. The indoor coverage area will depend on the outdoor signal strength. 3. Beautiful Appearance: New style, big screen, unique design, is not only a cell phone signal booster but also an artwork. It can be used for apartment, hotel, office, basement of buildings, coffee shop and shopping mall etc. 4. Easy to Install: The simple instructions and DIY installation make it easy. All of the components you need for installation are included in the package. 5. Product Warranty: Every product passes QC, it is guaranteed to increase the signal strength. 30 days money-back guarantee, if not work, full refund for you. One year manufacturer's warranty, as long as during the service period we can replace a new one for you. Specification: Frequency Range: 728-746MHz,698-716MHz (Band 12/17) , 776-787MHz,746-757MHz (Band 13) Max. Gain: 45dB Max. Output Power: 20dBm I/O Port: FME-male Impedance: 50 ohm Operating Temperature: -25 C+55 C Power Supply: Input 12-24V, Output DC 5V 1.5A Package: 1. 1x Car Use Mobile Booster 2. 1xOutside Magnetic Mounted Antenna 3. 1xInside Patch Mounted Antenna 4. 1xCigarette Lighter Adapter 5. 2xMounting Screw Kit 6. 1xEnglish User Manual This is a Consumer device. Before use, you must register this device with your wireless provider and have your provider's consent.Most wireless providers consent to the use of signal boosters.Some providers may not consent to the use of this device on their network .if you are unsure ,contact your provider.You must operate this device with approved antennas and cables as specified by the manufacturer.Antenna must be intalled at least 20cm(8 inched) from any person.You must cease operating this device immediately if requested by the FCC or a licensed wireless service provider. Warning:E911 location information may not be provided or maybe inaccurate for calls served by using this device.This device maybe operated only in a fixed location for in-buiding use. Support Verizon and ATT 4G: Work with all carriers which has 700MHz on 4G LTE, such as Verizon, AT&T and T-mobile etc. Boost Voice & Data Signal: Reduce missed calls, fast data speed for uploads and downloads. Automatic Gain Control: The booster can detect the level of available incoming signal, then adjust itself for best performance. It provides a maximum signal gain of 45dB. This means that your booster will always optimize to provide you with the strongest signal and connection to your cellphones. Easy to Set up: All hardware and instructions included, requires no technical experience or extral fee. DIY installation. Guarantee: FCC Certified, 30 Days money-back guarantee, 3 Months free replacement,5 Years manufacturer warranty. Brand: PROUTONE | Manufacturer: Protone Ltd.
Consumer Alert: Before use, you must register this device with your wireless provider and have your provider's consent. Most wireless providers consent to the use of signal boosters. Although AT&T, Sprint, T-Mobile, Verizon and 90 additional carriers have already given consent for all consumers to use this device, you must still register. Some providers may not consent to the use of this device on their network. If you are unsure, contact your provider. You MUST operate this device with approved antennas and cables as specified by the manufacturer. Antennas MUST be installed at least 20 cm (8 inches) from any person. You MUST cease operating this device immediately if requested by the FCC or a licensed wireless service provider. WARNING. E911 location information may not be provided or may be inaccurate for calls served by using this device. Installation takes 20 minutes to an 1 or 2 depending on how you configure your outside antenna and level of handiness: First, the outside antenna needs to be installed. The higher, the better the results. Second, the amplifier should be placed somewhere near a power outlet. Since the amplifier only boosts signal and does not do any broadcasting, it can be placed anywhere as long as it's away from excessive heat with some breathing room. And finally, the inside antenna is placed on any table or flat surface. 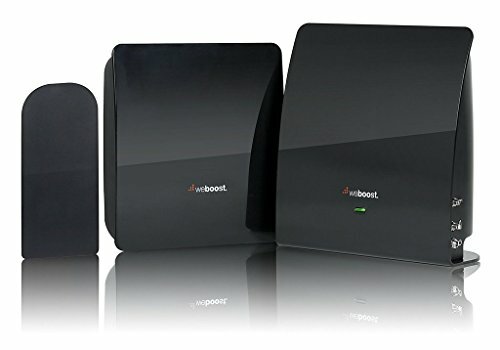 weBoost Connect 4G-X 471104 Cell Phone Signal Booster for Home and Office Enhance Your Signal up to 32x. COVERAGE FOR YOUR WHOLE HOME: The we Boost Connect 4G-X Cell Phone Booster for Home and Office has a range of up to 7,500 square feet. 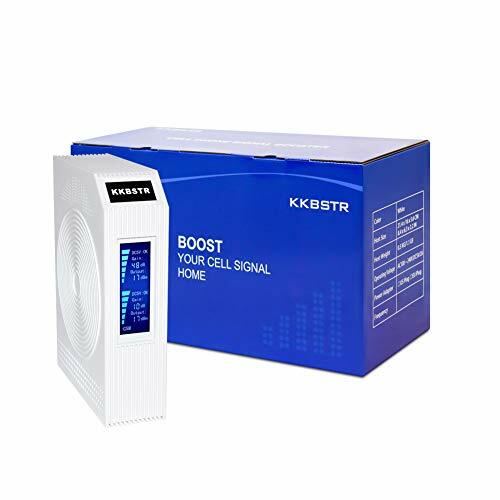 AUTOMATIC GAIN SETTINGS: This we Boost signal booster uses patented smart technology to sense nearby signal conditions and electronically optimize the cell phone booster's performance. BATTERY LIFE: Enjoy up to 2 hours of additional talk time with the we Boost Connect 4G-X Cell Phone Signal Booster. This cell phone signal booster consumes only a small percentage of your device's battery, prolonging battery life. Note: If there is no outside signal, the booster will not work for you. Does Phonetone booster work for your location? This is a Consumer device. Before use, you must register this device with your wireless provider and have your provider's consent. Most wireless providers consent to the use of signal boosters. Some providers may not consent to the use of this device on their network. if you are unsure, contact your provider. You must operate this device with approved antennas and cables as specified by the manufacturer. Antenna must be intalled at least 20cm (8 inches) from any person. You must cease operating this device immediately if requested by the FCC or a licensed wireless service provider. E911 location information may not be provided or maybe inaccurate for calls served by using this device. BETTER 4G LTE DATA This booster is dual band 700MHz booster, it can improve 4G LTE data speeds for Verizon and AT&T. Frequency: Band 13 and Band 12/17. WORKS WITH ALL CELLULAR DEVICES Boosts performance for iPhone, Samsung, Android and other phones and mobile devices. AUTOMATIC SIGNAL ADJUSTMENTS The booster can sense the cellular environment intelligently and adjust for maximum signal performance. That is to say, once the booster is installed, you never need to worry about it again. No returning or re-adjusting it, no matter how the local signal environment may change. 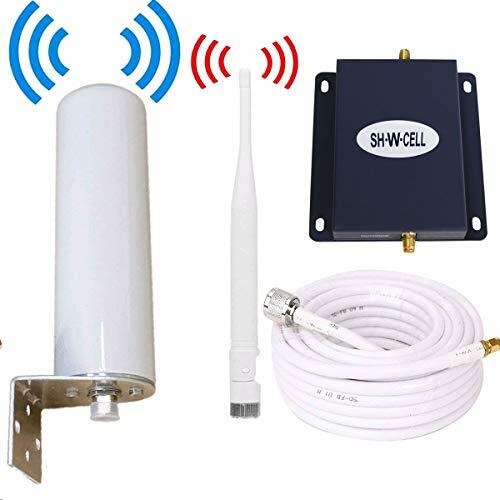 QUICK, EASY SETUP Omni-directional outdoor antenna receives signal from all directions (no aiming required), if you have moderate signal and want to support several network providers, this is a popular choice. PERFORMANCE GUARANTEED FCC Certified, 30-day money-back guarantee, 3-month free replacement, 5-year manufacturer warranty. Brand: Phonetone | Manufacturer: Phonetone Ltd.
With the Network Extender You can begin a call on the Network Extender network and enjoy uninterrupted transition to the nearest cell tower when leaving the Network Extender coverage area. The new 3G EVDO Network Extender will boost data coverage along with supporting voice calls. supports the Text, Picture and Video messaging, Web Browsing. Supports all Verizon Wireless branded 3G Mobile Broadband devices. The eqo 4G Home/Office Cellular Signal Booster is weBoost's easiest installed home/office cellular signal booster to date, and brings up to 32x stronger signal into a home, condo, apartment or office in just seconds. Installation takes just minutes, allowing you to begin boosting indoor signal coverage in a room up to 1,500 sq. ft. The eqo 4G Home/Office Cellular Signal Booster works with all US and Canadian wireless carriers, and can support multiple users and devices on every network simultaneously. FIX POOR CELL COVERAGE IN MINUTES! - weBoost's most advanced, easiest to install booster. BOOSTS CELL SIGNALS UP TO 32X: Enhances 4G LTE and 3G signals for buildings up to 1,200 sq ft. BETTER VOICE AND DATA: Get fewer dropped calls, better voice quality, faster uploads and downloads. COMPATIBLE WITH ALL US NETWORKS: Works on Verizon, AT&T, Sprint*, T-Mobile, US Cellular, Straight Talk and more. *weBoost boosters do not support a particular frequency used by some parts of the Sprint network. Most Sprint customers still see performance improvement from our boosters. This Booster could enhance the calling signal of 2G/3G/4G, not for 4G mobile phone network extender. and you have to close 3G & 4G network when you test 2G network .Please well noted before purchase and use. 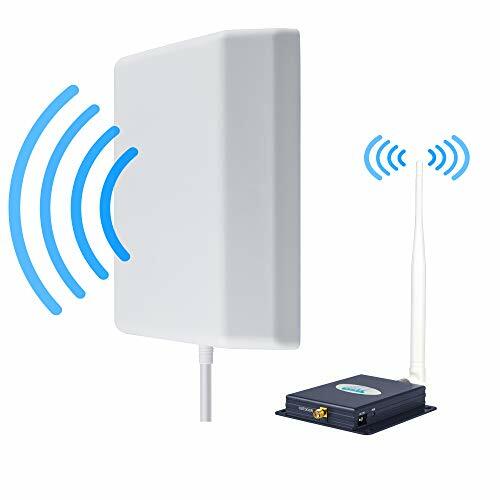 -One is the indoor antenna which communicates with your cell phone or laptop data card, and another one is the outdoor antenna which communicates with the cell tower. 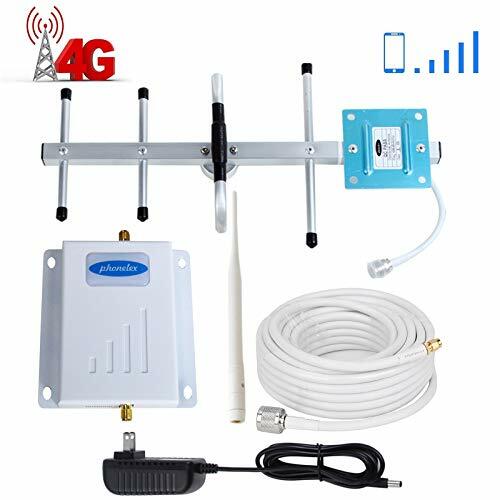 - When the indoor antenna receives the signal from your cell phone or data card, the booster amplifies the signal and transmits it through the cable to outdoor antenna and then to the cell tower. 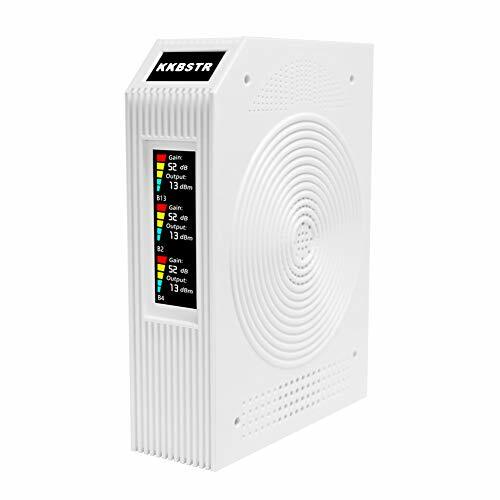 - The miniature repeater with its unique compact, light weight, easy installation, small interference on the network, the reliability and stability of the unique advan-tages, has been widely, especially suitable for the modern city building area indoor coverage. - The miniature repeater is mainly used in office buildings, shop-ping malls, large underground parking field,exhibition center, workshop. - Signal using a small power cover-age within building will be more uniform, reduce the cost of inputs. 3.It is better to determine the exact in different location until the highest signal strength is received on your phone(most amount of bars).Once you ascertain the best location then permanently mount the outdoor antenna.Keep the distance between the outdoor antenna and indoor antenna should be above 22ft and make sure a proper amount of physical separation between outdoor antenna and indoor antenna. The phone signal booster work for Verizon 700MHz 4G LTE, it can receive the signal from the signal tower ,and then amplifier your mobile signal,Support any phones for 4G/ LTE Verizon Wireless Carriers in the frequency range : Downlink : 746--757 MHz Uplink : 776--787 MHz. This cell phone signal booster is designed for Band 13 Verizon cellular band .Much faster high-speed 4G LTE internet. Perfect for people needing fast uploads and downloads for streaming apps such as Google Chrome, Safari, YouTube, Netflix, Pandora, Spotify, and other data-heavy apps. Good Voice quality and Fast 4G LTE Network Data , Get fewer Missed calls, Improve voice quality, faster uploads and downloads. The mobile signal Amplifier 's Coverage Range can up to 1500-2000 sq.ft , solve your bad mobile network signal and enjoy your Nice time at home . FCC authentication certificate,money-back satisfaction guarantee,One Year Manufacturer Warranty, Very easy to install . Boost your cell coverage and get superior connectivity at your home or office with the Signal Booster from Phonetone! Bid farewell to dropped calls and lay the foundations for a more productive workspace or a happier home with the booster, created especially for home and indoor coverage. Designed to improve communication lines, this premier device enhances 4G LTE and 3G signals in buildings of up to 5,000 square feet, ensuring better voice and data with fewer dropped calls, higher voice quality, and faster uploads and downloads. The booster uses a smart technology to sense signal conditions in and around a building and automatically adjust the gain level on each frequency band. This booster provides a maximum signal gain of 65 decibels. The booster works with all carriers in the United States: AT&T, T-Mobile, Verizon, Sprint, Straight Talk, and U.S. Cellular. No matter what carrier you use, it is guaranteed to increase the signal strength of any cellular device, giving you crystal clear calls and uninterrupted data. This package includes the 5-band booster, an indoor antenna, an outdoor antenna, a power supply, and a 50-foot coaxial cable. Experience hassle-free installation of your booster with this complete pack! Now invest in the Cell Phone Signal Booster, and make crystal clear calls and uninterrupted data your new normal. BETTER VOICE AND DATA Reduces dropped and missed calls and provides faster data performance for multiple simultaneous users. COMPATIBLE WITH ALL US NETWORKS Works on Verizon, AT&T, T-Mobile, US Cellular, Straight Talk and more, compatible with all mobile phones and devices operating on AT&T 700MHz (Band 12/17), Verizon 700MHz (Band 13), 850MHz (Band 5), 1700MHz (Band 4) and 1900MHz (Band 2). AUTOMATIC GAIN CONTROL The booster can detect the level of available incoming signal, then adjust itself for best performance. It provides a maximum signal gain of 65 decibels. This means that your booster will always optimize to provide you with the strongest signal and connection to keep your bars up and browsing speeds fast. Work with your home Wi-Fi to creat a powerful Wi-Fi system. Extend the coverage of an existing wifi network and eliminate dead zones. Save on data usage by connecting your smartphone or tablet to your home network. Automatically connected after the first simple installing. WPS button helps you for one-press secure connection. Longer Range: Perfectly solve your no signal area like in second floor, basement, remote room, long-distance garden etc. Stronger Signal: Delivering WiFi speed up to 300 Mbps. One signal supports multi wifi device like iPad, Echo/Alexa devices, Smart TV, and so on. Q1: Where should I place NETVIP long range extender? The right placement should be halfway between the main router and wifi dead zones, where there should pick up main wifi signal about 2-3 bars. Q2: How to reset NETVIP signal booster? Plug this repeater into your socket, then press the Reset button for 10 seconds if you setted wrong steps by mistakes. Q3: Why can't open the settings page(192.168.10.1)? Connect the new WiFi signal (WiFi- Repeater) in your WLAN lisht first, then you can open this website smoothly. Repeater mode no need to connect with the RJ45 cable in the package, just plug the extender into your power socket. Q4: Can it meet my needs well? Welcome any questions about our products at any time(awanka@163.com), Customer service will reply you within 24-hours. Unconditionally replacement and full refund services are available for each buyers. 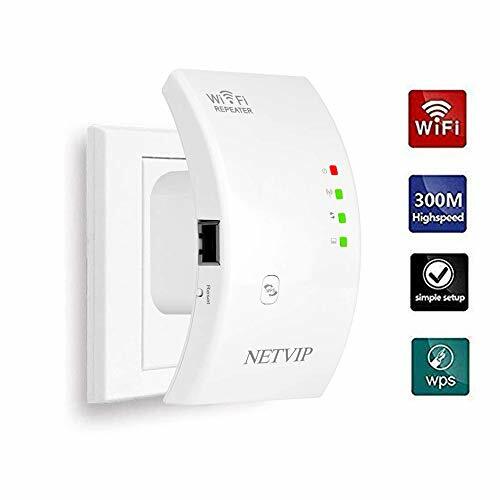 磊 360 DEGREE FULL COVERAGE : Boost existing Wifi by buiding up a new strong reliable network to improve signal of dead zones, such as upstairs room, room corner with weak signal, business journey and so on. Mini size & wall plug design for easily move and install. Classic colors & refined shape match the style of your home. 磊 WIDE COMPATIBILITY : Works with any standard router or gateway, High Speed Mode allows for the most ideal HD streaming & gaming experience.connect network and share the internet to multiple WiFi devices and share the WiFi to others. 磊 SEAMLESS CONNECTION : No need second connection once you step to the signal range. transfer speed up to 300mbps max, idael for watching video, surfing on tht internet and play game without interference. Easy to carry and use. WPS one-touch security encryption helps simplify your setup steps, one-click connection, then new reliable signal you connected. 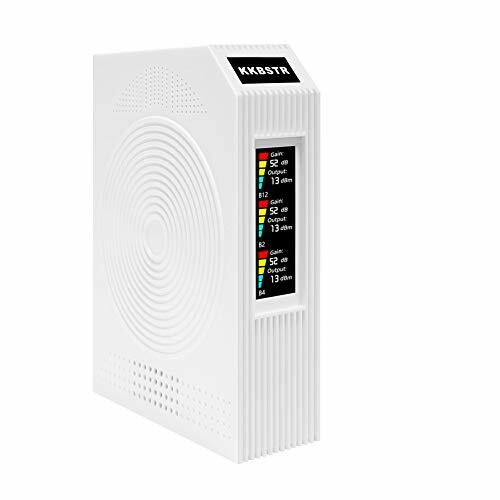 磊 TWO WORK MODES : Repeater mode(Extend existing wifi coverage range), AP mode(Cover a wired network to a wireless access point), which is suitable for different network demands. 磊 12-MONTH WARRANTY : Please feel free to contact us for any pre-sale or after-sale services (awanka@163.com). We will offer you a FULL REFUND or new REPLACEMENT if there is any quality problem. This product is used to strengthen the weak signal, it couldn't create the signal, that's means it won't give you any help if there is no signal at all. Improve Calls Quality - Reduce dropped calls, higher audio quality, faster uploads and downloads. Simply amplifies your existing signal to give you more bars and and maintain fast data speeds while you browse the internet or talk on the phone. Boost Cell Signals - Enhance your cell phone signal, faster high-speed 4G LTE internet. Perfects for people needing fast uploads and downloads for streaming apps. No more slow internet connections or long buffer times while watching your favorite streaming TV shows and movies. Solve your bad cell network signal and enjoy your nice time. Easy to Install - All of the components you need for installation are included in the package with easy to read, step-by-step instructions. Requires no technical experience with easy plug-and-play style setup, safe and convenient to use. 2. Need 2 to 3 bars signal outside, otherwise the signal can not be amplified, because this is a cell phone signal repeater, because this is a cell phone signal repeater. A booster can only enhance the signal, can't create a signal. 3. In order to boost your 4G LTE signal, please confirm that the 4G LTE band of your cell phone card in your area is 2 or 12 or 17. If you don't know your band, you can query through these simple operations(iPhone: Dial *3001#12345#* -> Serving Cell Info -> LTE -> Freq Band Indicator, Android Phone: Download and install the app 'LTE discovery' -> SIGNALS -> EARFCN). 1. Dual-band, Works with AT&T, T-Mobile, Sprint and U.S. Cellular: B2/B12, B12 contains B17, smart chip, high-tech custom circuit, faster data uploads and downloads, better voice quality, It can improve both voice and data signals, supports 2G/3G/4G LTE signal for AT&T, T-Mobile, Sprint and U.S. Cellular phones, 2G/3G for Verizon phones, the effect of dual band is better than single band(B12). Note: Please follow the instructions on the details page to check if your cell phone is supported. 2. Coverage: Maximum coverage range 3500 sq.ft / coverage radius about 32.8 ft. The indoor coverage area will depend on the outdoor signal strength. 4. Installation: Easy to install, all components required for installation are included in the package. Point the outdoor antenna towards a cell tower. Connect the coaxial cable from the outdoor antenna to the booster inside. Connect the indoor antenna. Then power supply. Done. 5. Product Warranty: 30 days money-back guarantee, if not work, full refund for you. One year manufacturer's warranty, as long as during the service period we can replace a new one for you. How to install: Point the outdoor antenna towards a cell tower. Connect the coax cable from the outdoor antenna to the booster inside. Connect the indoor antenna to the booster. Then power supply. Done. 1. The indoor and outdoor antenna is best to keep the distance of more than 8m(26ft), preferably separated by walls. The outdoor antenna is preferably installed horizontally in a better signal area and faces a cell tower. If you don't know the location of your carrier's nearest cell tower, please rotate the outdoor antenna until it gets the best signal. 2. Need 2 to 3 bars signal outside, otherwise the signal can not be amplified, because this is a cell phone signal repeater. A booster can only enhance the signal, can't create a signal. 3. The box is an old package(for dual-band), but the booster is tri-band, the new package is coming soon. 1. Tri-band, Works with AT&T, T-Mobile and U.S. Cellular: B2/B4/B12, smart chip, high-tech custom circuit, faster data uploads and downloads, better voice quality, It can improve both voice and data signals, supports 2G/3G/4G LTE signal for AT&T, T-Mobile and U.S. Cellular phones, 2G/3G for Verizon and Sprint phones. More bands, better support. Note: No need to check your cell phone band. 1. 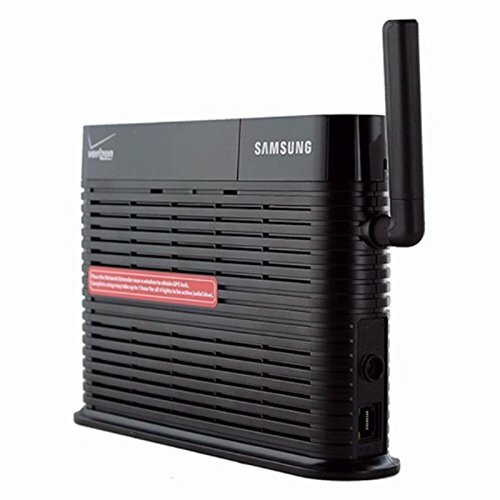 Tri-band, Works with Verizon: B2/B4/B13, smart chip, high-tech custom circuit, faster data uploads and downloads, better voice quality, It can improve both voice and data signals, supports 2G/3G/4G LTE signal for Verizon phones, 2G/3G for AT&T, T-Mobile and Sprint phones. More bands, better support. Note: No need to check your cell phone band. Feature: Built-in AGC function, when there is too stronger signal outside and AGC adjusts signal to the best suitable signal strength for cell phone and protecting booster as well. Specification: Frequency Range: 824-849MHz, 869-894MHz; 1850-1910MHz, 1930-1990MHz. Max. Gain: 45dB Max. Output Power: 20dBm I/O Port:SMA-female on both ends Impedance: 50 ohm Operating Temperature: -25 C+55 C Power Supply: Input 12-24V, Output DC 9V 1.5A Package: 1. 1x Car Use Mobile Booster 2. 1xOutside Magnetic Mounted Antenna 3. 1xInside Patch Mounted Antenna 4. 1xCigarette Lighter Adapter 5. 2xVelcro for Mounting 6. 1xEnglish User Manual This is a Consumer device. Before use, you must register this device with your wireless provider and have your provider's consent.Most wireless providers consent to the use of signal boosters.Some providers may not consent to the use of this device on their network .if you are unsure ,contact your provider.You must operate this device with approved antennas and cables as specified by the manufacturer.Antenna must be intalled at least 20cm(8 inched) from any person.You must cease operating this device immediately if requested by the FCC or a licensed wireless service provider. Warning:E911 location information may not be provided or maybe inaccurate for calls served by using this device.This device maybe operated only in a fixed location for in-buiding use. COMPATIBLITY: The signal booster supports 2g 3g for all carriers including Verizon, AT&T, T-Mobile, Sprint, US Cellular and more on Band 2/5. 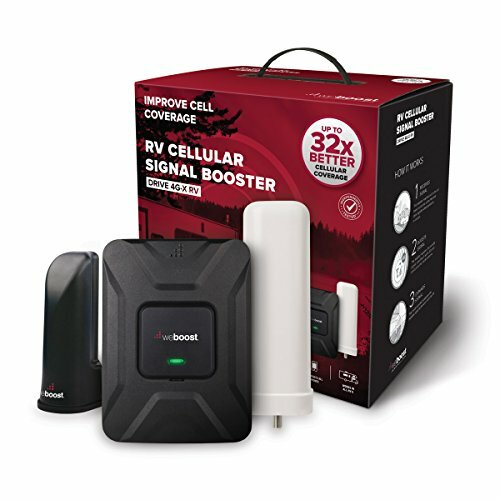 Boost Voice Signal: The cell phone booster can reduces dropped calls, let your cell phones well connected with each call and message in Car, Truck or RV. With LED Indicators, Automatic Gain Control and Self-oscillation Elimination Function, when the output is too strong, the booster can automatically reduce the gain and interference signal to give you best signal. Easy to Install: All of the components for installation and the user manual are included in the package, very easy to install, no technical experience required. GUARANTEE: 30 Days Customers Satisfaction,3 Months Free Replacement, 5 Years Manufacturer Warranty. With FCC Certificate and Professional Technical Support.